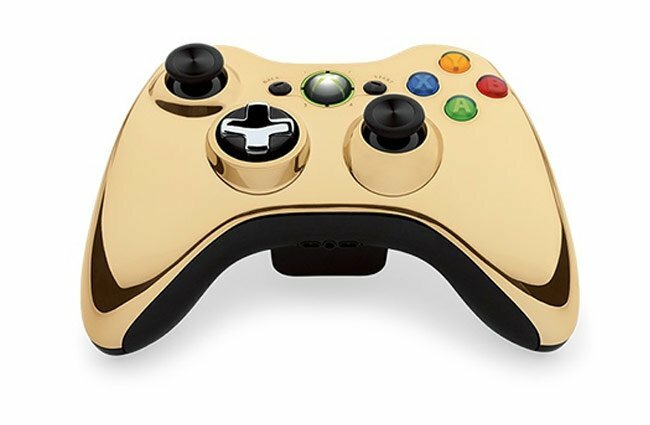 If you are looking to bring a little extra bling to your Microsoft Xbox 360 console controller you might be interested in the new special edition chrome series controller which has been unveiled this week that is finished in gold. The announcement was made over on the Major Nelson website and the controller allows you to add a little extra goldieness to your Xbox 360 gaming rig. The Xbox 360 Special Edition Chrome Series Gold Wireless Controller will be available to purchase next month for $55 from GameStop and Microsoft Stores in selected regions worldwide. If gold is not your favourite colour there are also controllers available in red, blue, and silver for the same price.